Chief Minister Yogi Adityanath chaired a high-level meeting in Noida to take stock of preparedness for Prime Minister Narendra Modi and South Korean President Moon’s visit. The two VVIP’s will be visiting Noida Samsung unit of Monday to inaugurate its expansion plant. The half hour long visit will put Noida on World’s manufacturing map by giving it the largest Mobile manufacturing unit of the world. Yogi Adityanath entered in Noida through DND expressway to inspect the probable path that will be taken by Indian PM and visiting President tomorrow. 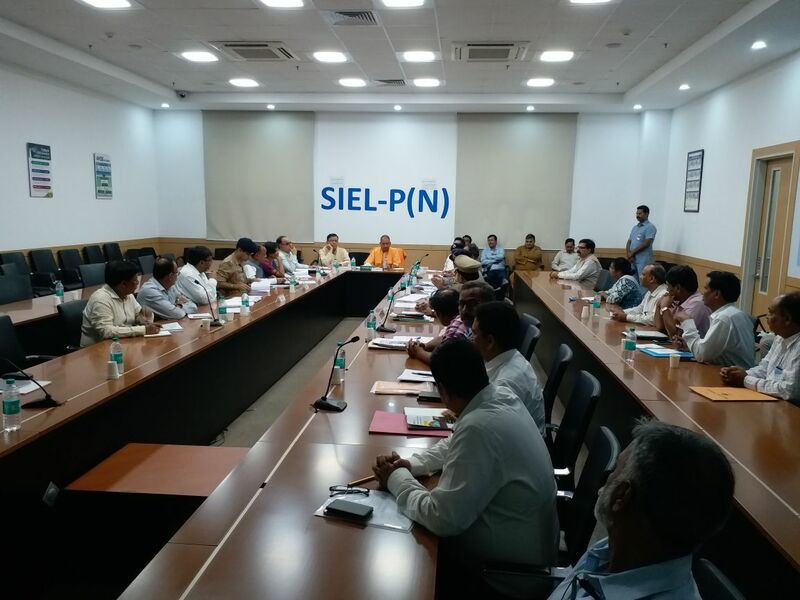 He later chaired a significant meeting at Samsung plant which was attended by Industries Minister Satish Mahana, MLA Pankaj Singh, UP DGP OP Singh, ADG Zone Meerut Prashant Kumar, IG Zone Ram Kumar, NA CEO Alok Tandon, DM BN Singh, SSP Ajay Pal Sharma, ADM Kumar Vineet and others were present in today’s meeting.